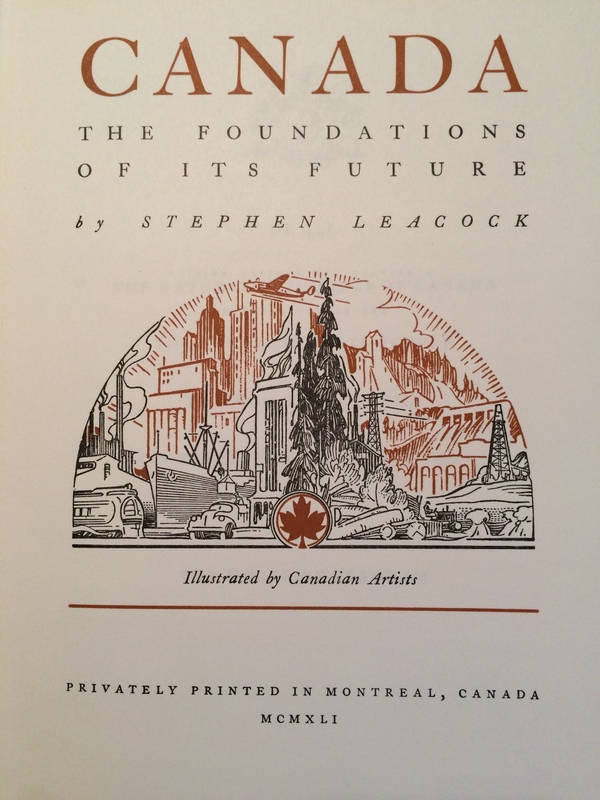 In 1941, the House of Seagram – then a Canadian maker of whiskeys, and later the largest distiller of alcoholic beverages in the world – privately published Stephen Leacock’s “Canada: The Foundations of its Future,” a history of Canada’s growth and development to that time. One thing that struck me about this statement is its reference to ‘privilege’, the recognition of which seems to be widely lacking in modern society. Though regulatory frameworks may grant legal rights of access to natural resources, such access nevertheless remains, truly, a privilege and, with it, come attendant responsibilities to steward such resources. That the notion of privilege appears to have largely been forgotten may help explain the erosion of the stewardship ethic in recent decades. This excerpt captures eloquently the notion of human capital, the value inherent in the people who make up the company, the people it serves, and the people who have made it possible for the company to exist, indeed to thrive. Mr. Bronfman’s acknowledgement of the overarching importance of people, of the meaning and purpose lent to business by society, still stands, almost three-quarters of a century later, as an inspiring articulation of the basis for corporate responsibility. As we increasingly understand today, the “horizon of industry” does indeed extend beyond the plant boundary, and, for many in our global economy, beyond even our national borders. If we consider these two ideas together, however, the need for a “farther view” and the overarching importance of people, it follows that the horizon of industry must be broad not only in spatial reach, but in temporal terms as well. While understanding our history, as Mr. Bronfman advocated, is critical to recognizing and appreciating the privileges we enjoy, I would argue industry must also look to the future, to ensure the “larger balance-sheet” remains healthy for generations to come. Given its great influence in, and the scale of its potential impact on, modern society, the horizon of industry must indeed be far-reaching in every sense. Although this particular volume of Stephen Leacock’s has been on my bookshelf for many years, my attention was brought to the foreword in particular by Phyllis Lambert, Samuel Bronfman’s daughter, who wrote about it in the prologue to her own excellent book, Building Seagram, about the planning, design, construction, and ongoing stewardship of the Seagram Building in New York City. The White House blip: would ethical standards be helpful? Follow some of the links recommended below... Some are specifically relevant to Canadians, but many are of general interest. I'll update from time to time.